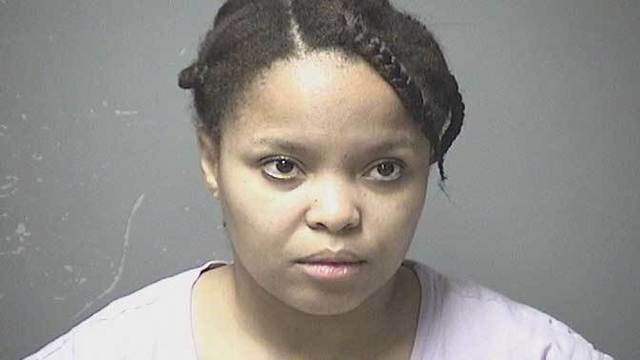 Manchester, New Hampshire – A woman is accused of stabbing her 16-month-old daughter late Wednesday night because the toddler “was crying and would not stop”. According to reports, the toddler’s father woke up and found his daughter bleeding. His wife did not seem to have any emotion about the incident. When the father realized that his daughter had been stabbed, he called police. When police arrived, Evansgina Audy, 29, was arrested. The toddler was taken to Elliot Hospital. She suffered a serious stab wound to her back. The child was stabbed with a utility knife. Police said Audy’s story changed multiple times. At one point, Audy told authorities that she saw a shadow, overreacted, and dropped a knife on her daughter. During questioning, Audy smirked, chuckled, and laughed uncontrollably. She was described as having an evil look on her face. Audy was charged with Second-Degree Assault. The toddler was transferred to Boston Children’s Hospital where she is expected to make a full recovery. Audy’s defense attorney plans to use “insanity” as a defense.